As per statement issued by the Ministry of Haitians Living Abroad (MHAVE), the airline has announced on August 21, 2018 that from November 3, 2018, there will no longer any direct flights to the Toussaint Louverture International Airport in Port-au-Prince from Fort Lauderdale-Hollywood International Airport or New York's John F. Kennedy International Airport. Haitians settled in South Florida used to depend on American Airlines flight from FLL-Hollywood to catch early 6 a.m. flight to Haiti before the traffic gets too congested in Haiti and again come back to Florida in the late afternoon. Persons living in the New York-Newark area were able to catch JFK's direct flight to avoid long waiting in Miami. JetBlue Airlines still operates a direct flight to Port-au-Prince out of JFK and also out of Fort Lauderdale. On October 2, 2014, American Airlines launched its direct service from Miami to Cap-Haitien-- it was the same year when Fort Lauderdale-Hollywood route was introduced in 2014. 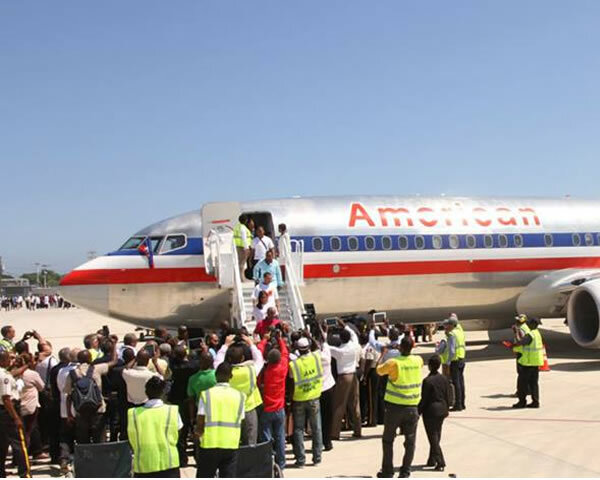 The inaugural flight was launched by then-Haiti President Michel Martelly and his tourism minister Stephanie Villedrouin, Miami-Dade County Commissioner Jean Monestime and American Airlines Senior Vice President. As per statement of Peter Vittori, American Airline's managing director of sales for Florida, for the Caribbean and Latin America, the decision to reduce the number of flights has been taken entirely on financial ground and the cuts are part of a series of reductions including the end of services to some destinations as well. There will be no more any flights for Scotland's Glasgow Airport and Mexico's Puebla International Airport. Guy Francois, the minister of Haitians Living Abroad, has said "It's a big loss for us, but it might create an opportunity for other airlines to come aboard and provide direct service to Haiti."